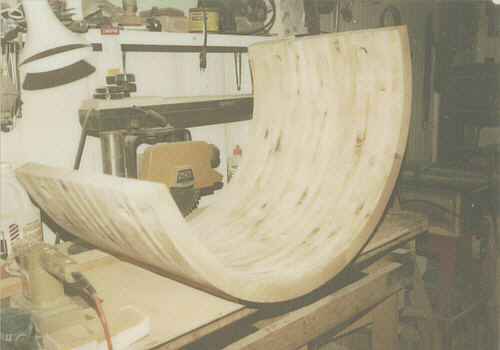 The next step is to very precisely cut off the ends of the curve. 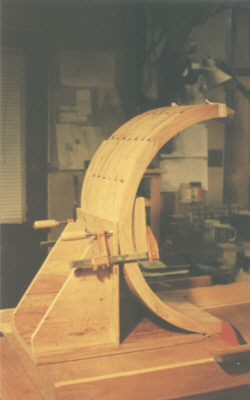 A special holding jig is required to support the top-heavy piece while it's being cut. First one end is cut then the curve is reversed and the other end is cut. A table saw works well for this although a router jig might suffice. When we're done, what should be left will be a perfect hemi-circle as shown below.